President Mustafa Akıncı emphasized that a positive outcome of the settlement talks will have implications beyond the borders of Cyprus. Stating that cooperation and co-development will eliminate mutual fears, President Akıncı said that the communities that shared the pains of the past have now come to the point of sharing their prosperity and development by evaluating new opportunities together. The President also highlighted that Turkish Cypriots have fears about the Greek Cypriots due to past experiences, and that Greek Cypriots also have fears about Turkey due to what happened in 1974. “The only way to eliminate these reciprocal fears is cooperation and co-development” President Akıncı said. 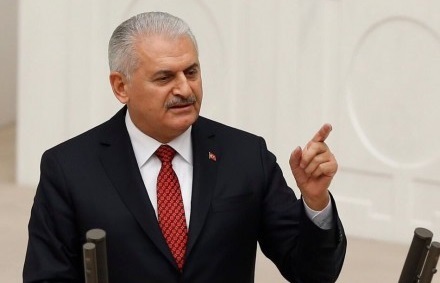 Turkish Prime Minister Binali Yıldırım said that Turkey’s stance on the Cyprus issue is clear. A solution in Cyprus should include a fair administration; a rotating presidency; respect the rights of both sides, especially in relation to law, territory and property; and respect Turkey’s effective guarantee, Yıldırım said. Yıldırım mentioned the Cyprus problem in his speech at the Turkish Grand National Assembly’s General Council. The Cyprus problem has been on the agenda for a long time, Yıldırım said. However, the Turkish Cypriots will decide the future of Cyprus. A lecture entitled “Women’s Rights: Discrimination in the Family and in the Workplace” was held by the TRNC Foreign Affairs Ministry Professionals and Spouses Association (DİMED). The lecture was held at Lefkosa Merit Hotel on Saturday, and started with a moment’s silence and the National Anthem. Speaker of the Assembly Sibel Siber, Supreme Court President Narin Ferdi Şefik, UBP Lefkosa Deputy İzlem Gürçağ and academics from Turkey attended the lecture. 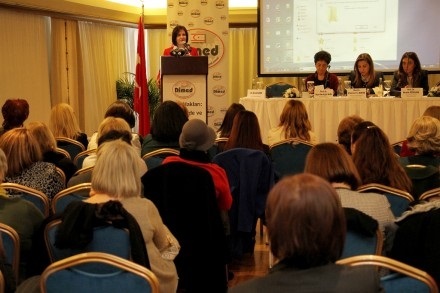 Chairman of DİMED, Assistant Professor Oya Ertuğruloğlu, who made the panel’s opening speech, stated that it is the first time that the association has put together a panel on a topic that concerns the issues which women face. Presentations such as “The position of the women in the family” by Prof. Dr. Ayşe Akın, “Strengthening of the Status of Women” by Prof. Dr. Nermin Özgülbaş and “Women’s Rights in TRNC Law” by Supreme Court Chairman Narin Ferdi Şefik took place in the lecture. 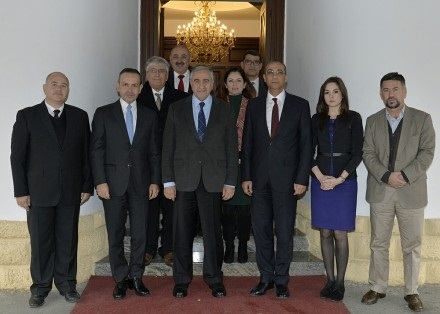 This entry was posted in News and tagged 5-party Conference Geneva, Binali Yildirim, Cyprus negotiations, DIMED, Mustafa Akıncı, Narin Ferdi Şefik, North Cyprus, Sibel Siber, TRNC, İzlem Gürçağ. Bookmark the permalink.